Ever since the signing of the Armistice in 1918, theatre has played an important part in reflecting the experience of the `war to end all wars'. But on the Home Front, what role did those involved with British theatre play during those tumultuous four years and three months? 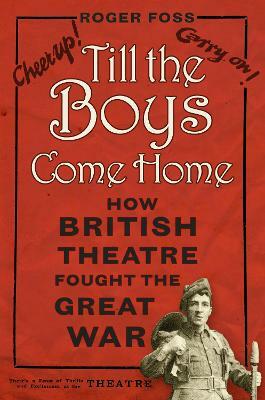 Till the Boys Come Home salutes British theatre in wartime, when theatres became powerful generators for escapism, for stirring patriotism, for sharing experiences of loss and joy - and for raising vast amounts of charity money. It brings to life a Britain where theatre-going peaked in popularity, yet became full of the curious contradictions bred by war. Richly illustrated with original programmes, posters and ephemera, author and critic Roger Foss reveals a theatrical powerhouse, where all sections of the profession - from grand Shakespearian knights to lowly concert party artistes - were doing their bit, both at home and on the front line. ROGER FOSS is a former actor turned journalist, theatre critic, author and broadcaster. As a young actor, he appeared extensively in theatre and television. Turning to a career in journalism, he has written on theatre-related subjects for numerous publications, ranging from The Stage to Debrett's. He was chief theatre critic for What's On In London magazine and for Whatsonintheatre.com, and for three years edited What's On Stage magazine.